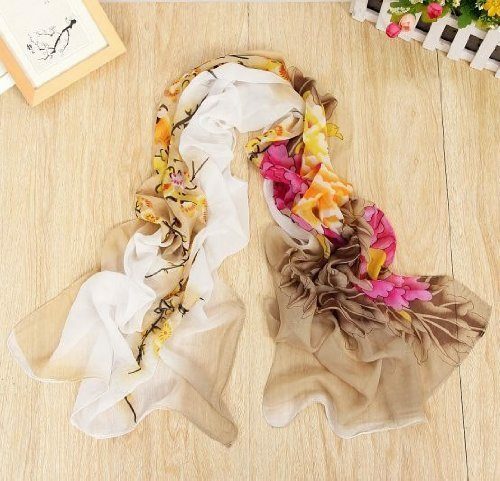 Peony Flower Print Chiffon Scarf Only $2.59 + FREE Shipping! You are here: Home / Great Deals / Amazon Deals / Peony Flower Print Chiffon Scarf Only $2.59 + FREE Shipping! Who needs a new scarf?? Grab this really pretty Peony Flower Print Chiffon Scarf for just $2.59 with FREE shipping! I love these chiffon scarves because they’re light enough to wear in the spring and summer!